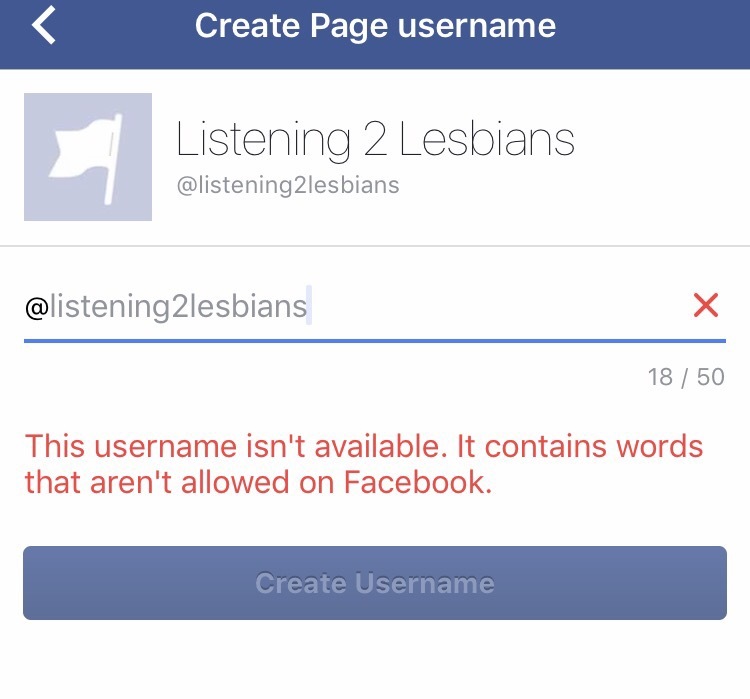 Lesbian a banned word in Facebook usernames? We’re trying to get listening2lesbians back up and running, particularly for current news items. Apparently the word lesbian isn’t “allowed on Facebook”. This entry was posted in Listening 2 Lesbians. Bookmark the permalink. That is such bull. I run two separate pages with the word “lesbian” in the title: “Lesbian Day of Remembrance and “Redacted Lesbian.” Don’t stop fighting! There is NOTHING in the word “lesbian” that violates their so-called “Community Standards.” FIGHT!